A few weeks ago, I was very honored to have my first book signing! 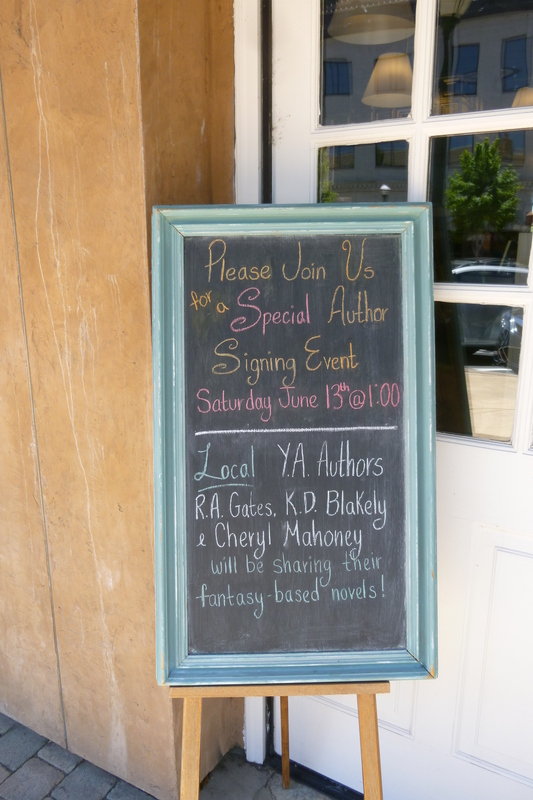 Collaborating with two author friends, we held a signing at a local book store. And of course I brought a camera! The lovely ladies with me are R. A. Gates, author of Pucker Up, with a heroine setting out to wake a sleeping prince, and The Tenth Life of Mr. Whiskers, a hilarious take on the zombie apocalypse (sort of); and K. D. Blakely, author of the Chimera Chronicles, about five friends exploring a magical land, with the first three books out (and two to come). I highly recommend their books to my fantasy-loving readers! In other author news…well, stay tuned and I should have an announcement soon about the next book in my fairy tale series! It was a wonderful event! I was excited to be there, to see you and to meet the other authors. The bookstore where it was held was quite charming and perfect for a book signing. Well done! that looks so fun! 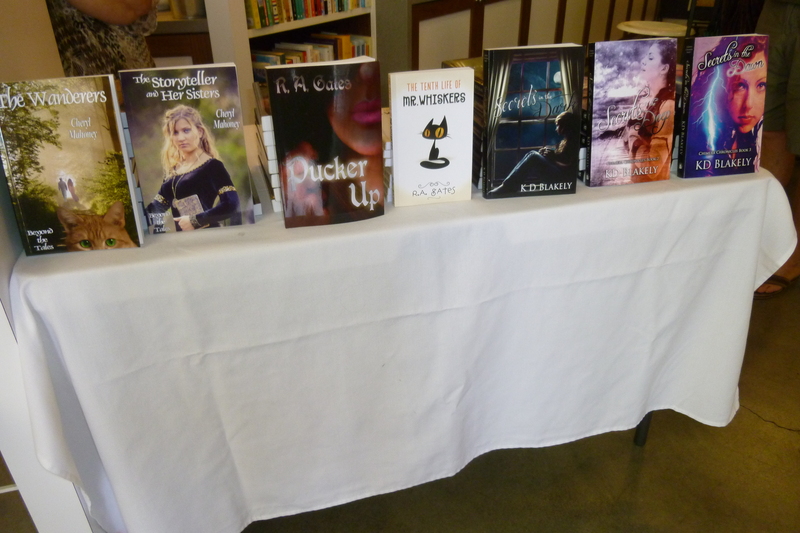 i only went to one author signing and i could recall my nervousness but i still went through it alive! haha, wonderful post! It was a great day! And here’s a huge thanks to everyone who came out to support us!